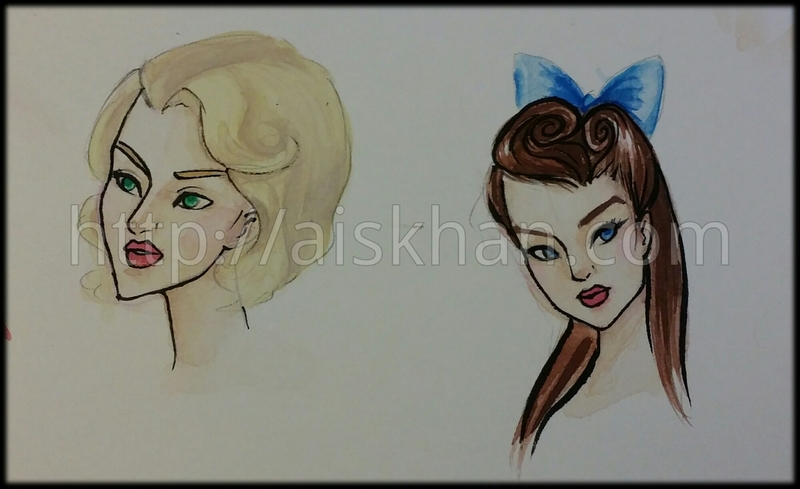 Testing how to paint skintones in watercolour. I like the lady on the right’s flesh tones, although I need to learn to stay in the lines. prior to laying down the colours because I was taking off paint when I did it afterwards. Watercolors, brush pen, 0.3 mm pigment liner.